Education standards have deteriorated drastically. I usually come across such phrases as “his” husband or “her” wife. At such times I wish that the writer would stick to his mother tongue instead of massacring the English language. One of the aims of a good education is to train students to express themselves (if not in English, at least in their mother language). Unfortunately, that is no longer the case. As expected an Indian with his usual fail rants about Pakistan. Never fails. I am talking about Indian dude commenting. Wooooff… I guess English is a language only. As with diversity and inclusiveness, we tend to speak so many different languages with some tolerable proficiency and i don’t think there is a problem in speaking any language with some reasonable proficiency. 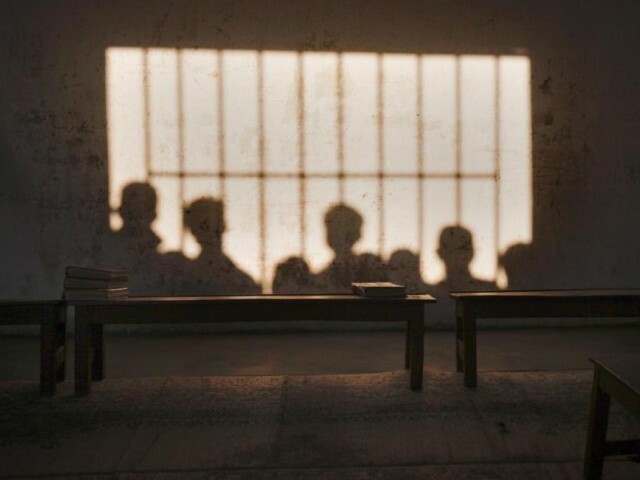 I went to a “Yellow walled” government school in Karachi. From 1973 to 1983, 1st grade through 10th. I had the best teachers one could imagine. We used to have position holders from our school way after nationalization was completed as it was one of the best schools and the forward momentum it had in terms of teaching excellence took a bit longer than others to subside. Towards the end of my stay in school I started to notice teachers who knew less than the students started to get hired. The seasoned teachers started opening their tuition centers and now not even an uneducated fruit seller is willing to send his kids to the same school. The school whose alumni comprises of countless PhD Scientists, Physicians, Nuclear physicists, Journalists, Sports Champions, Neurosurgeons, Engineers, Businessmen etc. all over the world, specially in the US is now a joke for the community that it is located at. The current standard of the school is so bad that none of the folks living in the middle class surrounding area would even think about sending their kids to the same school. Sorry sir, but your article is highly exagerated. You are unaware of ground realities. The reality is that there is enough higher education curriculum present in Farsi and Arabic and also Turkish to find ways to translate entire textbooks so that at least, the kids can understand what they’re studying and do something with that knowledge; whether its science, math, engineering or technology. The alternate is to hire graduates from western countries who all have English as their first language (like the missionary teachers mentioned in the article) as China does, but that’ll be very costly and hard to manage with such a huge population. Not all of them would want to stay there and teach kids in rural areas, for example, but it is definitely something that the elites would want done for their schools. A graduate from a western uni can teach upto high school levels and in some case, bachelor’s levels. Basically, the courses they would have studied in school and done good in (they would have to show their grades). Unfortunately, Pakistanis who are sent to study abroad don’t do anyone any good because they learn nothing for three reasons: 1) it doesn’t matter to the schools since they just want their international students’ fees and couldn’t possibly care if they succeed or not, 2) they haven’t made English their first language in their primary and secondary education to have a grasp on what they’re studying at a higher level and finally, 3) since what they had learned at the earlier levels wasn’t in their first language, they didn’t understand it then. So now, they couldn’t just translate what they were learning in their first language using google translate, for example, like Persian or Chinese students can. For the latter two, they learn everything in their first language, which helps them understand everything and as a result, they simply have to connect the term in their native language to the English terms in order to further their education and knowledge. Pakistanis on the other hand, like the Indians, don’t understand anything at home and its even worse when they’re abroad because there’s no tutor to help them make sense of wtf they just went to class for. Therefore, Pakistani graduates from abroad aren’t the right fit, either. What would be required is an actual, native speaker of the language but paying them in dollars would be hard. The Chinese, however, have found an easier way out; they advertise jobs at colleges where they’re bound to find college grads who aren’t likely to find a job because of the economy that just doesn’t seem like it’ll change. These kids are also in a great deal of student debt so they sign a one-year or two-year contract with the PRC, get some experience, earn some money, but also, help produce students like Mr. Lakhani, who have the luxury of talking down at the newer generation as if they brought all of this upon themselves. I still believe that the easiest and all-encompassing way is to translate the books; there’s only one required per course at any level. Also, it can be supplemented with podcasts that can be accessed off of cellphones that everyone seems to carry these days. I am a Sindhi and I agree. Unfortunately, the statistic you referenced is of the UP-Bihar migrants of which you also might not be a part because your last name suggests your first language is Kutchi or Gujarati. You have conveniently ignored that statistics suggest that Urdu is spoken and understood by 80% of Pakistanis while 10% claim to be ‘Urdu-speaking’ immigrants. 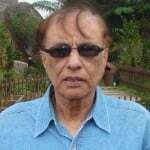 If you cared to notice, the most famous Urdu poets were Punjabi like Iqbal or Faiz or Jalib or Pathan like Faraz and Niazi (popular last name in Afghanistan). Urdu is learned in the chaks of Punjab, and villages of all other provinces since that is the medium of the government-backed syllabus. I take it that you have never communicated with anyone from any village or chak and also, I believe you may also lack the required exposure to ascertain what proper scientific knowledge and education entails. Given these drawbacks, I will help you understand that the second most published scientific research articles are in Mandarin, a country that makes cancer drugs that are used in all western hospitals and it is also this language that used NCBI to come up with the cure of ebola. Iranians, who learn everything in Persian happen to be the only country in the region to have cloned a goat while everything they learned was in Farsi. I won’t bother mentioning the Latin Americans and their Portuguese and Spanish or the French, or even the Germans who happened to have created all of modern-day science. Being a science major, I can help you understand these things in far more detail, if you so wish. Pakistanis have a habit of throwing around unresearched, irrelevant and obsolete references to draw inapplicable inferences. Had anyone read what you wrote, they would’ve thought you couldn’t get by with Urdu in Pakistan and the only way to learn science is through English because one dude won a Nobel Prize while having studied in that medium. Education is an art, and also a science that requires an understanding of psychology, communication, etc. The scope of teaching and learning is far more vast than a handful of missionaries the colonizers left behind to remain influential on the savages of the third world. Ironically, the colonists have accepted Mandarin, Farsi, Portuguese (Brazilian), French and German speakers and their knowledge in science and other subjects (learned in their native language) but their leftovers are still trying to shove English down our throats. God help us all. Had folks like Mr. Lakhani been around Einstein and Madame Curie, none of us would’ve even had science because their native German and French wouldn’t have been good enough. He would’ve also stopped all research on cancer drugs being made in China and animal farming in Iran. Good thing those countries don’t have such folks and such a mindset; at least, they can progress in peace and bring mankind forward alongside themselves. Pakistanis are an accursed people so I am not surprised they think like this. If they were open-minded, had a greater vision, exposure and outlook, who would’ve bothered discussing what medium to use, to teach a largely illiterate population, 70 years later. Shakir Lakhani Esq. : The Late Zulfikar Ali Bhutto was Hung to Death on 4th April 1979. I agree with you, but all public sectors should be completely run on socialist system like free education, free health care, free justice etc. All private sectors should run on capitalist system.